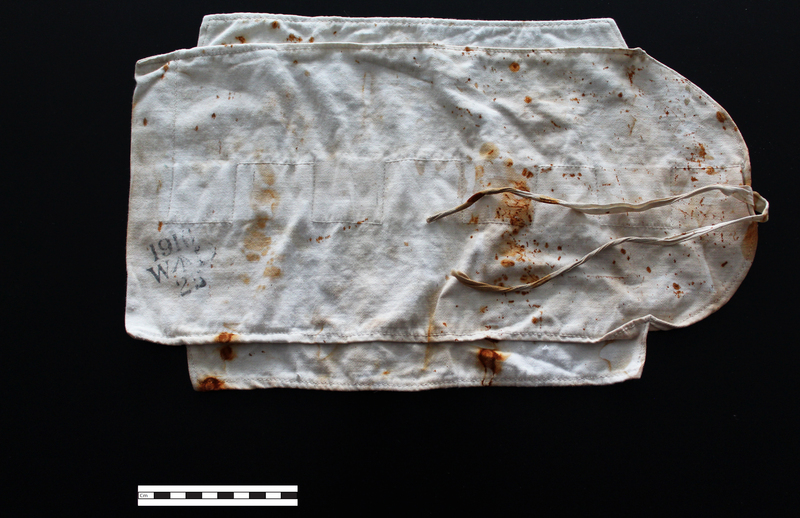 This item is believed to be a “Holdall,” which would have been used during World War One to keep items together. Holdalls would contain various items needed for personal use and hygiene such as utensils, comb. sewing kit ("Housewife"), shaving equipment, toothbrush, etc. It is stamped with, "1916 W [arrow symbol] D 25." The arrow symbol was used by the British government to denote government property and was used in various parts of the British empire, the "WD" indicates that the item belonged to the British War Department and the "1916" indicates the year.